There was a time that the casino floor was the place Las Vegas visitors were separated from their money. Nowadays, fees are taking some of that cash, long before tourists hit the slots and table games. Many of these charges start before visitors even make it to Las Vegas. Most airlines charge for checked bags and booze these days, but some discount airlines that fly to Las Vegas have fees that go beyond charges that have become far too common. Allegiant Air connects small airports to Las Vegas. It is a great option for fliers in small cities that would otherwise have no direct flights. The base fares are low, but Allegiant Air makes up for it in fees. Allegiant Air publishes its fees for optional services on its website and mentions many during the sale process. Some fees are common among carriers, such as checked bags, beverage service, seat selection, and flying with a pet. The ones below are unusual compared to most other airlines. There is a way to avoid the booking fee. Tickets may be purchased at the airport during published hours. Hours vary by location. Spirit Air also charges fees for optional services that go beyond the standard ones found on major airlines. These are disclosed on the company’s website where tickets are purchased. Spirit Air sells tickets at airport counters free of charge. Personal items do not have a fee on either airline. Certain gate-checked items are also free of charge. Check the airline’s website linked above for a list of these exceptions. The Nevada Taxicab Authority publishes approximate fares from the airport to major resorts on its website. The latest fees to pop up in Las Vegas are resort fees. These are becoming just as lucrative for hotels as fees charged by airlines. Hotels will make about $2.25 billion in fees this year. Most Las Vegas casinos charge resort fees. These fees start at $5 per night and run as high as $28. This covers amenities such as the pool, fitness center, business center, and wireless internet. These were all once included in the base hotel rate, but not anymore. Some hotels do not have a pool, spa, or fitness center, yet still charge a resort fee. Casino Royale is the only Las Vegas Strip casino that does not charge a resort fee. Fremont, California, Main Street Station, and Four Queens, all located downtown, do not have a resort fee. The M Resort, Cannery, and Arizona Charlie’s properties also have no resort fee, as do some other off-strip properties. 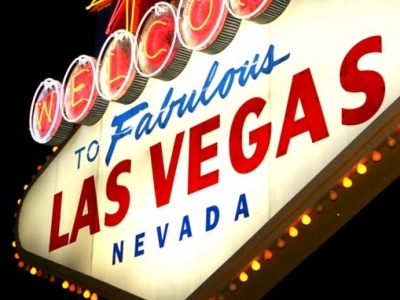 A full list of Las Vegas resort fees may be found here.